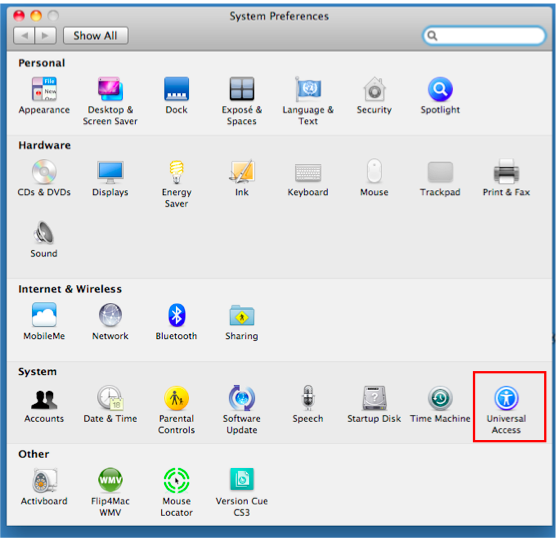 In the Seeing Pane, select Open VoiceOver utility to open the VoiceOver preferences window. 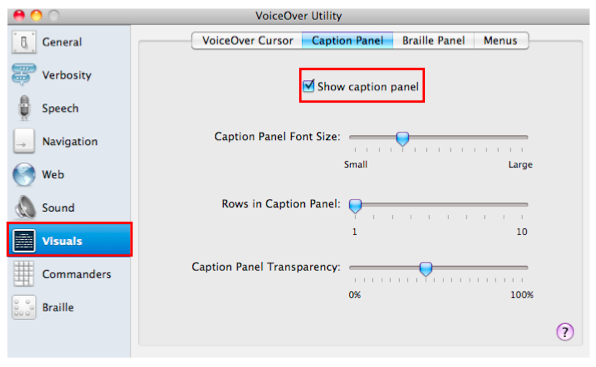 Under the Visuals category, choose the Caption Panel tab and make sure the box next to “Show caption panel” is selected. Use the sliders in the Caption Panel window to adjust the Caption Panel settings such as the font size, the number of rows or the amount of transparency.